Urine is one of the most extensively analysed biological fluids in clinical and toxicological investigations owing to its high availability and non-invasive collection. The chemical nature of the analytes involved (polarity and thermal instability) makes liquid chromatography the separation technique of choice for compound determination. Moreover, sample treatment based on solid-phase extraction is usually carried out owing to its flexibility and the availability of new sorbent materials with increased selectivity and versatility towards the target compounds. 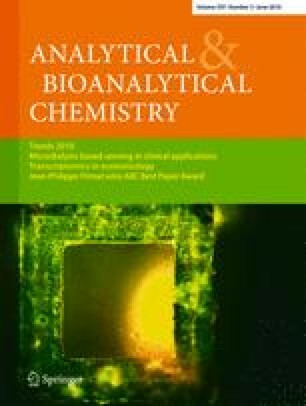 Taking into account these three fundamental points, this review focuses on recent developments in urine pretreatment using highly selective and non-conventional sorbents in solid-phase extraction such as affinity sorbents (immunosorbents and molecularly imprinted polymers), restricted access materials and carbon nanotubes, with emphasis on the new synthesis methods. Their main advantages and shortcomings are presented, together with representative examples in this context. Financial support from the Spanish DGICyT (grant CTQ2007-60426) and the Junta de Andalucia (grant FQM-02300) is gratefully acknowledged.